Based on the upcoming spy novel by British author Jon Stock. The book, the first of a trilogy, aims to reinvent the spy genre. It tells the origin story of newly trained spy in a tone that mixes "The Bourne Identity" with the works of John Le Carre. 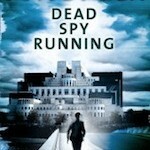 The story begins with the protagonist running the London Marathon, where a fellow racer is strapped with explosives. The scenario leads to a globe-trotting adventure to clear the name of the man's father.